Golf Notecube will delight the golf player in your family. 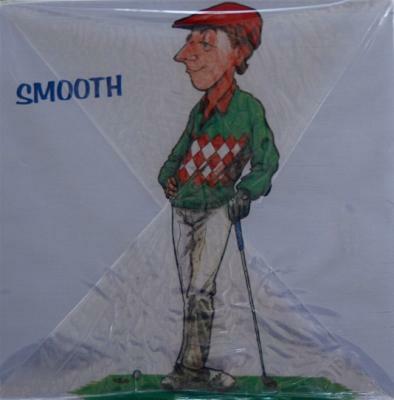 Golf Notecube will delight the golf player in your family with its humorous artwork. Take the rough with the smooth. 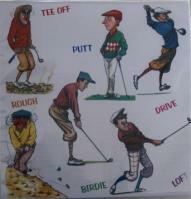 All the old terms added here, tee off, putt, drive, loft , birdie and rough on this golf lovers notecube. 800 pages with a three different pictures. 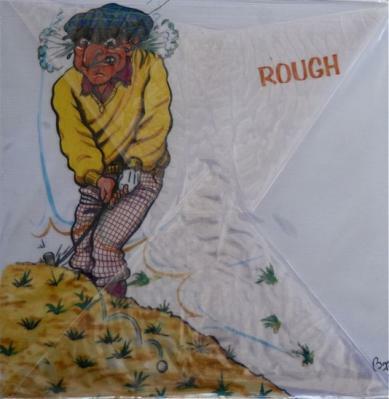 The mixed terms on two sides and the golf player in the rough on one side looking a tad frustrated. Plus the gentleman golfer 'smooth' player. The top has a pen hole which makes it a very convenient item next to the phone or on your desk at work, reminding everyone what you do in your spare time and sparking conversation on your favorite pastime. A great gift too. Imported from the UK. Paper from sustainable forest growth. The Golf Magazine Putting Handbook. Bird Dog Retrievers Note Cube Super cartoon humor, four pictures. Half Cube Note Pad with Horse and Pony Design. Fly Fisherman's delight 800 sheet note cube lots of British humor. Note Pad Half Cube. Horses in Rug Design.